The Brightlingsea One Design was designed in 1927 by Robbie Stone of Stone’s shipyard (now the waterside marina). The boats are of clinker construction. Originally planked in elm but the later boats in mahogany. The 5x boats are constructed in GRP. Boats 1 – 14 were built before the war. The use of the symbol ‘C’ on the sail has never been fully explained, although it is thought to stand for the river Colne. The last wooden boat built, C32 ‘Avocet’, was built in 1989 by Malcolm Goodwin. The numbers do not run in sequence. The Stone built boats are 1 – 30 (27, 29 & 30 by T. C. White). 31 was built by John Mullins and 32 by Malcolm Goodwin. Another series started at 40 built in West Mersea. The new GRP boats built by John Mullins are 5x and 75 was the only boat built by the Aldous yard. 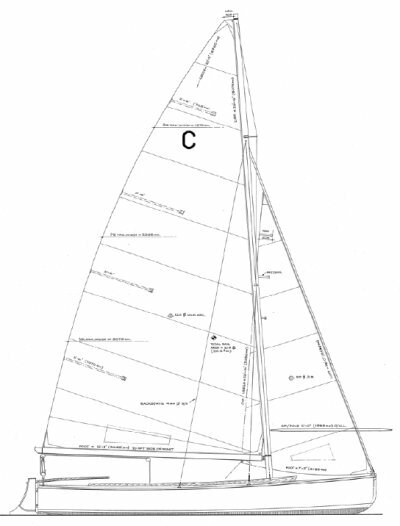 In 1951 a new rig was designed for the boat and caused a split between the advocates of the new rig and the supporters of the old. 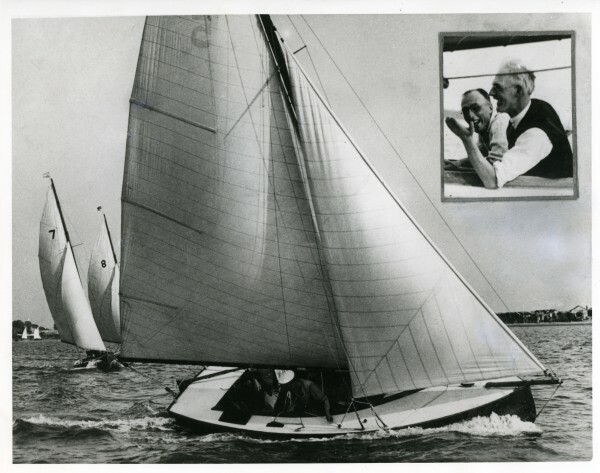 The class raced as two different fleets until the end of the 1950’s when most of the boats racing converted to the new rig. The new rig has no bowsprit a shorter boom and a taller mast, this is to be seen on most of the boats sailing today, although C28 has an original rig. Two other boats are expected to fit the original rig after restoration. In 2004 C1 ‘Jean’ was relaunched 77 years after being built as the BOD prototype after a ten year restoration by Malcolm Goodwin. In 2007 the first GRP BOD C51 ‘Greta’ built by John Mullins was launched. In 1986 the BOD became a film star appearing in ‘The Ted Kennedy Jr. Story’, Billed as a profile in courage, the film examines the trauma and effort that Senator Edward Kennedy’s (Craig T. Nelson) son (Kimber Shoop) went through after losing his leg to a rare form of cancer and with the rehabilitation that was required. (source imdb.com). Apparently the BODs are the nearest to those used by the Kennedy family at Cape Cod.